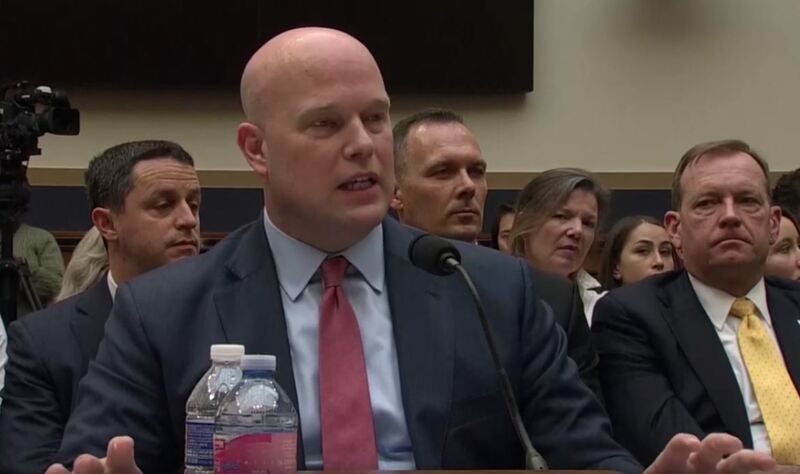 Former FBI Assistant Director for Counterintelligence, Frank Figliuzzi, criticized Acting Attorney General Matt Whitaker’s behavior while testifying before the House Judiciary Committee on Friday, comparing him to a terrorist. Whitaker, who was appointed to the role by President Donald Trump following the ousting of Jeff Sessions in November, repeatedly avoided questions from House Democrats and at times, challenged the authority of the committee. Speaking on MSNBC shortly after the heated hearing, the former FBI Assistant Director for Counterintelligence said Whitaker’s performance compared negatively to some of the most dangerous criminals he had interviewed in his career. “I’m not kidding when I say I have interviewed terrorists who are more cooperative and respectful than Matt Whitaker was today,” Figliuzzi began, provoking laughter from MSNBC host Nicole Wallace. “I gotta tell you, I say that with sadness, because the attorney general role is America’s lawyer. Whitaker faced scrutiny over why he was chosen by Trump to head the Justice Department, rather than the normal line of succession rules being followed. At times, the acting AG appeared to be deliberately stalling the proceedings to avoid answering Democrats’ questions. At one point, Whitaker informed Committee Chairman Jerrold Nadler that his five minutes of questioning time had expired, prompting gasps from the chamber. Whitaker made a similar remark to Rep. Sheila Jackson Lee, prompting a fierce rebuke.